This verse is smack full of intentionality! The great apostle has just finished talking about his desire to know Christ better and to be like Him. He recognizes, though, that he falls far short of this goal (v. 12). But this does not keep him from taking intentional steps to get there. 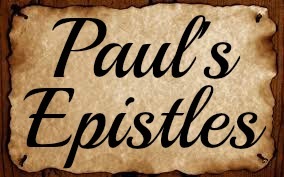 He intentionally forgets – Paul could easily have beat himself up over his past.After all he was a blasphemer and a persecutor and a hater of all things Christian. He did a lot of things that could easily haunt his memories. But he chooses not to remember these things. He does not dwell on things that are in his past because he does not want to be weighed down by anything that he can’t do something about. The past is behind him. Paul chooses to look ahead. May the Lord create in us hearts that are not content until we find our satisfaction fully in Him.